…especially if quality herb is hard to come by. …there are differences between vaporizers. While some vaporizers slow down your consumption on a massive scale…others are more of the ‘herb hog’ types devouring your herb without any excuses at a pace that's only slightly slower than smoking. If conserving herb and more importantly…MONEY is important to you, you’ve come to the right place. To what extent a vaporizer is capable of conserving your herb while still getting you where you want, is how I will define efficiency because this is the only definition that is relevant to you and actually somewhat testable. Which vaporizers need the least amount of herb to get you medicated properly? A precise or interval based temperature control system which is capable of reaching at least 428°F /220°C. Now you will learn why these characteristics help you conserve herb while still allowing you to get medicated properly. Not everything is dependent on the vaporizer you use…there are definitely some things you can and should do to increase your vaporizer’s efficiency. And you will learn about those as well. But this is still vague. Because how are you supposed to measure this? The session-efficiency of a vaporizer. But what exactly are these? This essentially is the minimum amount of herb that’s needed in the bowl of your vaporizer to produce a satisfying hit. The smaller your bowl, the less herb you’ll need to produce a satisfying hit. Does the vaporizer heat and thus waist any herb while you aren’t drawing? If you’re the type of user which generally just takes a few quick draws…AND efficiency is important to you, you’re going to want a vaporizer with a good threshold-efficiency thus has a small bowl. If you’re the type of user who generally likes to go for long sessions…AND efficiency is important to you, you’re going to want a vaporizer with a good session-efficiency, thus is 100% convection and has its heating element separated from the bowl. But more about these specific vaporizer-features below! A true convection-based heating mechanism heats your marijuana only with hot air. Hot air flows through the whole heating chamber and through your herb…extracting cannabinoids no matter the location of your herb IN the bowl. Compare this to a conduction vaporizer where your herb gets heated by means of a heated surface and the herb that's in direct contact with the heated surface gets exposed to the heat more so than the herb that’s not. It's obvious that in convection-heating a more complete extraction is much easier. Another advantage of a pure convection vaporizer is that it only exposes your herb to hot air when you're pulling (drawing) it over your herbs, thus not extracting any cannabinoids while not drawing. Important here to note is that with portable vaporizers, on-demand heating is kind of necessary to eliminate any conduction-heating and thus keep this advantage. Because portable vaporizers are so compact, heating for a long time like with session-vapes will always lead to some conduction/radiant heating in the bowl. This leads to constant extraction of cannabinoids whether you’re drawing or not (basically wasting a lot of cannabinoids). It's not hard to see how you will need MORE herb to get you medicated properly in such a system. The cannabinoids in your herb need to time to kick in, and a vaporizer with a small bowl forces you to LET them kick in before your herb-hunger takes over. Reason 1: With any bowl what you want to do is pack it quite well and fill it up at least decently. With most vaporizers, you need to fill the bowl at least somewhat decently to get proper vapor production. If you, for example, fill only 10% of the bowl with herb, the vapor you’ll get will be very wispy. This can still be quite potent vapor…but if you’re anything like me you’ll want to definitely feel something too and not just ‘know’ you’re inhaling vapor. So what happens if you keep getting wispy vapor? You’ll probably keep filling your bowl to get more vapor and this obviously is not very efficient! 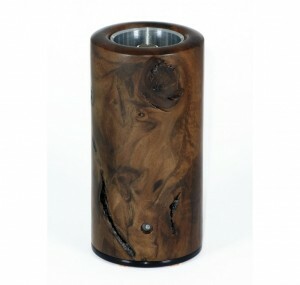 Vaporizer 2: with a bowl capacity of 0.1 grams. Now let’s say for argument's sake that you need to fill the bowl for at least 50% to get decent and visible vapor (in reality this percentage differs per vaporizer). With vaporizer 1 you need at least 0.25 grams of herb to get decent and visible vapor, while with vaporizer 2 you only need 0.05 grams. And trust me…if your tolerance isn’t sky-high 0.05 grams of herb with the right vaporizer WILL get you medicated properly! Reason 2: Even if you do have somewhat of a tolerance…another advantage of a small bowl is, it basically FORCES you to use not anymore herb than needed to get you where you want. Let’s say your tolerance is quite high and you ‘think’ you need at least 0.25 grams of herb to get medicated properly. With vaporizer 1 you just put in 0.25 grams of herb in your bowl, not only because that’s the minimum to get decent and visible vapor, but also that’s what you ‘think’ you need to get there. Now you try vaporizer 2 and fully pack the bowl with 0.1 gram of herb. You hit it, devour it in a series of 10 strong and dense hits…and all over the period of 15 minutes. But while you’re grinding up your next 0.1 gram you come to realize you're already far away in THC-land. You really didn’t need that extra 0.1 gram, but you didn’t realize it because you never tested it…and now you'll be saving $$$. This one is only applicable to convection vaporizers. With conduction vaporizers, you actually need the bowl with attached heating element touching your herbs. Convection only exposes your herb to the heat while you’re drawing (not wasting your precious cannabinoids). Ok…but why do you need distance between the heating element and bowl? With most vaporizers, the heating element of your vaporizer is quite close to the bowl. So what happens if you keep your vaporizer on for a longer time? Your bowl heats up to a point at which least some conduction heating is going on. And this partially negates advantage 2 of convection vaporizers: “Convection only exposes your herb to the heat while you’re drawing”. Now your herb is getting exposed to some conduction heating whether you’re drawing or not, decreasing its efficiency. If there's a large distance between the heating element and your bowl, this process loses a lot of its power and convection truly stays convection. There are many other cannabinoids and other compounds like terpenes in your herb, which have medicative properties (maybe not always directly like THC but all of these substances probably do also influence each other and their respective effects). All of these compounds have different boiling points and thus start off-gassing at different temperatures as well (click here if you want to learn everything about vaping temperatures and how they affect your vapor). …you will need to reach the full range of temperatures with your vaporizer, starting from the compound with the lowest boiling point, up until just before the combustion point of cannabis (446°F / 230°C). But this doesn't work so well if you immediately start at the highest point…you need to give your vaporizer enough time at every interval to extract all of the compounds. You will have more time to realize the effects of your vapor if you take 15-20 modest draws compared to five (5) face slammers. Again…don't underestimate the impact of giving the cannabinoids enough time to kick-in has on conserving your herb! First of all, some compounds will be completely absent in your vapor…plus if you only go as far as the boiling point of a certain compound, you won’t extract every molecule of it…leaving much on the table. 5. What YOU Can Do to Increase Efficiency! 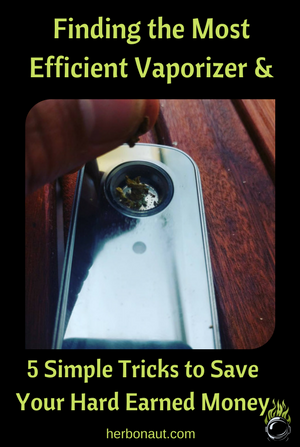 It's time for 5 tricks YOU can use to increase your efficiency and save money with any vaporizer. Packing your bowl properly is a two-fold process. First you have to fill it up to the minimum amount that’s needed to get decent and visible vapor. How much this ‘minimum’ amount is, really differs per vaporizer. If you want to know the specific minimum amount of a particular vaporizer, check that vaporizer’s review page (you can find all vaporizers in the top menu). I really suggest you do this if you want to vape efficiently. Grind your herb as fine as you can and pack your bowl for at least 50% with the screen technique and at least 80% without it for best efficiency (and vapor quality) results. 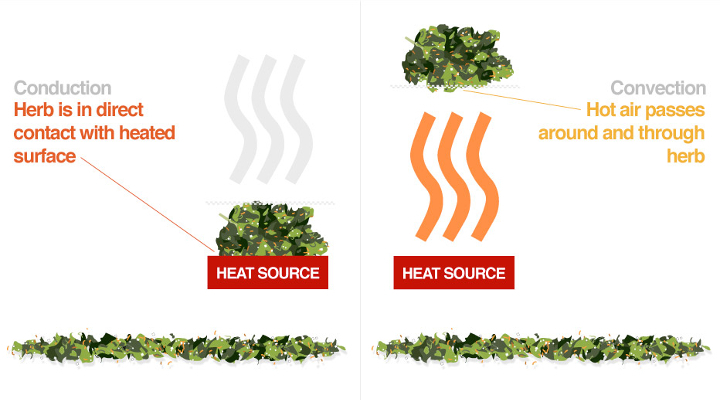 Conduction heating works by means of exposing your herb directly to a heated surface. What this means is you want your herb to be as fine as possible so every little particle can easily get exposed to the heated surface by stirring (more about stirring your herb later). Usually, it’s best to use a medium to fine grind and pack your bowl relatively loose but full. It basically comes down to using a grind and pack that is facilitative of letting the hot air easily pass through your bowl and through your herb. You want to maximize the airflow the best you can while exposing every trichome of your herb. A super fine grind will block your airflow severely. Also don’t pack it so loose your herb keeps flopping around when you’re vaping! You don’t want to disturb the delicate extraction process. With most vaporizers…to get the most out of your herb it’s best to stir up your bowl every couple of draws. 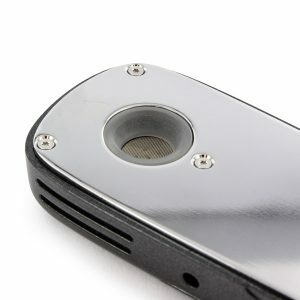 With conduction vaporizers, it’s obvious why…you need to let every little particle of your herb hit the heated surface. …increasing efficiency and saving money! To keep your vaporizer functioning properly and efficiently, you need to regularly clean your baby up. Don’t let any resin build up in any parts of your air path and especially keep your bowl/filling chamber and the screen in your bowl/filling chamber clean. You want to keep airflow at the maximum, otherwise, extraction will be half-assed and your efficiency (and wallet) will take a hit. This is important for efficiency but was already covered and I don’t want to sound like a broken record…you can read about it here. 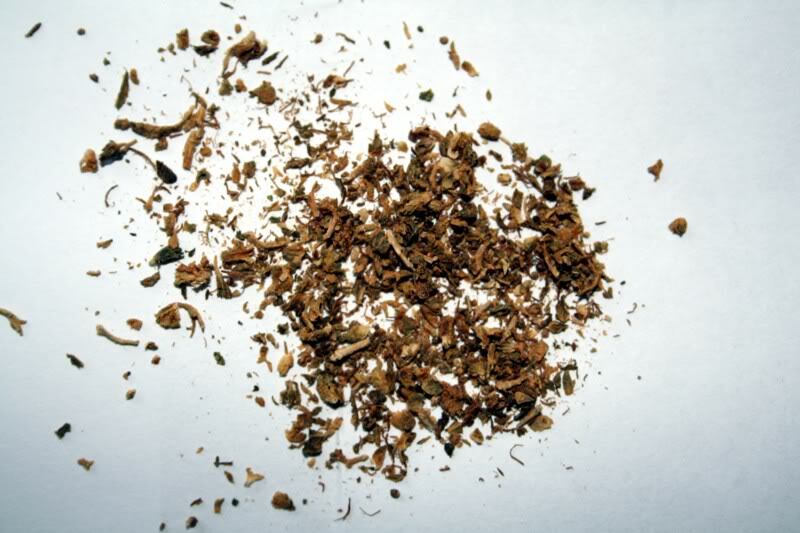 AVB or ABV is the herb that’s left over after your vaporizer got intimate with it. If you vaped mostly around the combustion point of marijuana (446°F / 230°C), most cannabinoids will be fully extracted and your AVB won't have much potency. Besides, the taste of such AVB will be absolutely horrible. How to recognize such AVB? It will be dark brown/blackish and will smell bad (note that most AVB will not smell very pleasant, but dark brown/blackish AVB will smell particularly bad). You can directly eat it (advisable is to put it in capsules). Be very careful when using AVB, experiment starting with very low doses and every time keep all your variables the same (your vaporizer, the temperature you vape at, your strain, etc.). Because it has the potential to hit like a truck and when it does there really is no way back…you just have to sit it out. It might not make for a very pleasant experience. If you are serious about AVB check out this full guide on AVB. 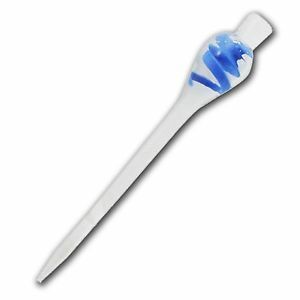 Its bowl is small and specifically designed for quick on-demand hits. Click here to see current price and reviews – USA. Click here to see current price and reviews – Europe. The King of log vaporizers is also the Vaponaut King of Efficiency. Almost as small as a portable but producing the clouds of high-end desktop vaporizer with tiny amounts of herb…you would have to be some kind of herb-hungry madman to use more than 0.1 grams of herb without getting obliterated. An interval-based temperature control system with enough variation and a maximum of at least 428°F / 220°C. Click here to see current price and reviews. If you want to look at how these vapes compare to other vaporizers, in a handy comparison post, see our dry herb vaporizer review and comparison post. Now that you've learned all ins and outs of vaporizer efficiency, you will not only be saving herb but more importantly: your hard earned money! If you enjoyed this post and want more, follow us on Instagram, become a fan on Facebook and click share to to look really smart to your friends and acquaintances.